Katie is an Associate in the firm’s St. Louis office. Katie represents clients in a variety of practice areas, including insurance defense, commercial litigation, construction, employment, governmental and municipal liability, personal injury, premises liability, subrogation and wrongful death actions. She is a member of the Missouri Organization of Defense Lawyers and the Women’s Law Association of Greater St. Louis. Katie graduated from St. Louis University School of Law, where she concentrated in employment law. 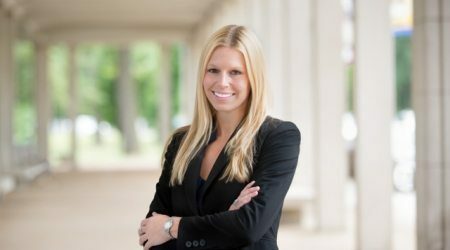 At St. Louis University, she practiced for two years as a volunteer, student attorney representing indigent clients in cases of domestic violence and related family law matters. She is licensed to practice in Missouri and the Southern District of Illinois.